Louise McIntosh Slaughter was born on August 14, 1929, in Harlan County, Kentucky. She attended the University of Kentucky, where she earned a B.S. in microbiology (1951) and an M.S. in public health (1953). 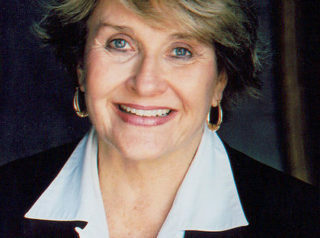 After completing her studies, Slaughter worked as a market researcher for a major chemicals manufacturer; served in the Monroe County (New York) legislature from 1976-79; was a regional coordinator to Democrat Mario Cuomo during his years as New York’s secretary of state (1976-78) and lieutenant governor (1979-82); and served in the New York State Assembly (1982-86). In 1986, the voters of New York’s 30th Congressional District elected Slaughter to the U.S. House of Representatives, where she subsequently served, until the end of her life, as a member of the Congressional Progressive Caucus. Her District was renumbered as the 28th in 1992, and the 25th 2012. In the 1980s Slaughter strongly opposed what she described as the Reagan administration’s “immoral Contra war policy,” which provided aid to the Nicaraguan Contras in their battle against that nation’s Marxist Sandinista government. In 1991, Slaughter and six other Democratic congresswomen went to the Senate to demand a delay in the confirmation of Supreme Court nominee Clarence Thomas, against whom attorney Anita Hill had levied accusations of past sexual harassment. In August 2007, Slaughter was one of 90 Members of Congress who signed an open letter delivered to President George W. Bush, stating: “We will only support appropriating funds for U.S. military operations in Iraq during Fiscal Year 2008 and beyond for the protection and safe redeployment of all our troops out of Iraq before you leave office.” The letter was initiated by the Peace Pledge Coalition, an alliance led by such notables as Medea Benjamin, Bill Fletcher, Kevin Zeese, and representatives of the Progressive Democrats of America, Democrats.com, AfterDowningStreet.org, Velvet Revolution, and the Backbone Campaign. At that time, President Bush’s “troop surge,” which deployed an additional 21,000 U.S. troops to Iraq and ultimately turned the tide of the war in America’s favor, was in high gear. When the House of Representatives voted by a 345-75 margin to defund the notoriously corrupt community organization ACORN in September 2009, Slaughter was one of the 75—all Democrats—who voted to continue funding the group. Slaughter served as chairwoman of the House Rules Committee from 2007-11. In 2012 Slaughter was one of 74 Democrats who signed a J Street-orchestrated letter urging President Barack Obama to pressure Israel into accepting a two-state solution with the Palestinians of Gaza and the West Bank. In November 2012, Slaughter was a member of the host committee for “Leading with Love,” an event celebrating the fifth anniversary of the founding of the Marxist-led National Domestic Workers Alliance. Favoring “comprehensive immigration reform” that would provide an “earned path to citizenship” for the millions living illegally in the United States, Slaughter supported the Obama administration’s controversial “Deferred Action for Childhood Arrivals” (DACA) program, initiated in June 2012 to guarantee that most DREAM Act-eligible individuals would be granted temporary legal status, work permits, and eligibility for numerous publicly funded benefits. Slaughter was one of more than 80 House members who, in a letter to President Obama, called for the reinstatement of Affordable Care Act eligibility to the “DREAMers” affected by DACA. In October 2015 Slaughter tried to eliminate, from a piece of legislation, language intended to create a new government subcommittee to investigate alleged illegalities committed by Planned Parenthood. Moreover, she sought to replace that language with a provision to shut down the House Select Committee on Benghazi, which at that time was analyzing the Obama administration’s failure to secure a U.S. diplomatic facility against a 2012 terrorist attack, and the administration’s subsequent attempts to cover up that negligence. Over the course of her political career, Slaughter’s campaigns were supported by such organizations as the Council for a Livable World, the Democratic Socialists of America, EMILY’s List, Planned Parenthood, and the Working Families Party. On March 14, 2018, Slaughter fell and injured herself near her home in Washington, D.C. and suffered a concussion for which she was hospitalized. She died two days later. For an in-depth look at Slaughter’s voting record on key issues during her years in Congress, click here. Further Reading: “Louise Slaughter” (Ballotpedia.org, Votesmart.org, Keywiki.org); “New York Rep. Louise Slaughter Dead at 88” (NY Post, 3-16-2018); “The 75 Democrats Who Are … ACORN Defenders” (American Thinker, 9-18-2009); “Lawmakers Consider New Curbs on Incendiary Speech” (The Hill, 1-11-2011); “Louise Slaughter: They’re Here To Kill Women’” (Breitbart.com, 4-8-2011); “74 Anti-Israel Democrats” (by Ben Shapiro, 4-18-2012); “Letter to Obama: Reinstate Healthcare to DREAMers” (12-18-2012); “Rep. Slaughter Statement on President Obama’s Immigration Accountability Executive Actions” (11-21-2014); “Dem Move to Kill Benghazi Committee Fails” (The Hill, 10-6-2015).